Ride around DC on this 2-hour segway tour. Tour famous landmarks on your way, such as the White House, the Capitol, the Supreme Court, Library of Congress, the Smithsonian Museums, and Ford's Theater. Discover DC with your professional guide and your new talent of gliding on segways during this exhilarating tour. Maximum size of this tour is 16 people. At 10am, meet your professional guide at the Ronald Reagan Building and International Trade Center on Pennsylvania Avenue. Receive a quick training on the Segway to ensure your comfort and safety, and then head onto the streets of Washington D.C. to begin your 2-hour adventure. See some of the United States' most important landmarks as you roll down Pennsylvania Avenue. 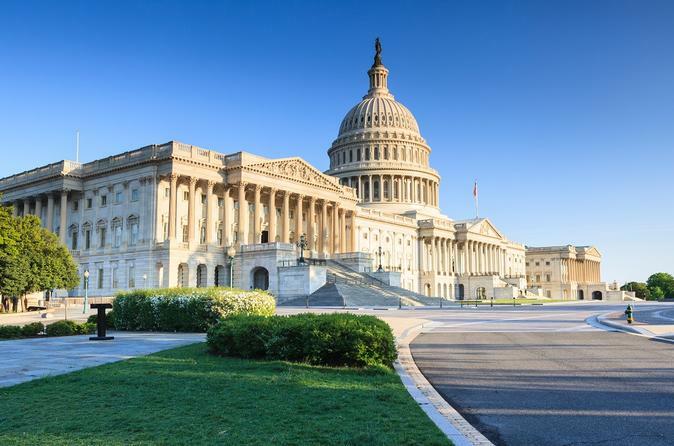 Admire the impressive dome of the U.S. Capitol; ride past the FBI Building, the National Archives Museum, and the United States Navy Memorial; and see the highest court in the land. Cruise past the Library of Congress, where an incredible collection of history and art is kept, and continue past the United States Botanic Garden and some of the museums of the Smithsonian Institution as you make your way toward the White House. Return to your starting point via Ford's Theatre and the Petersen House, where President Lincoln died the morning of April 15, 1865. Enjoy the famous sites of D.C. in a fun and unique way on this Segway tour.